It is never too late to go back to school. Check out these appealing roles for midlife career change in fast-growing fields, and learn what it takes to do the job. The era of employment for life is over. With companies looking to be more agile and flexible in responding to changing economics, many employees find themselves downsized, underemployed, or forced to move to new states or countries in order to keep the same job. In addition, inflation pressures have encouraged many to look for a second—or even a third—job in order to make ends meet. In 2016, the average person is changing careers an average of twelve times throughout his or her working life. Four-year college degrees are no longer a guarantee of employment. What’s more, a majority of college graduates come out of school already saddled with student loan debt while finding it tough to land a job that pays enough to take care of both the rent and high loan payments. Because of this, vocational and technical trade schools are gaining new popularity among people of all ages and work experience. 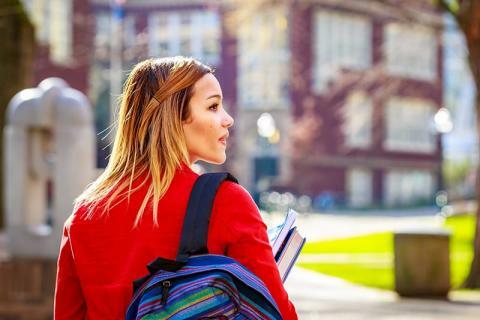 These schools offer accredited programs that get students certified, licensed, or registered in a new career within a short amount of time and at a fraction of the cost of four-year colleges. They accept students of all ages as long as they have a high school diploma or GED. It’s a new era, so embrace it no matter where you are in life. Are you looking for a fulfilling career that offers lots of opportunity for advancement in high-demand fields? Let’s talk about four of the fastest growing career fields that trade schools teach and what it takes to get yourself into one of these exciting careers. Surgical technologists assist in the operating room. Also called operating room technicians, scrub techs, or surgical technicians, a surgical technologist is an integral part of the success of any surgical procedure, from setting up and preparing the room before surgery to arranging any necessary equipment so that it is sanitized and ready to be used, and assisting the surgeon during the actual operation. To learn more of the duties of a surgical technologist, click here. 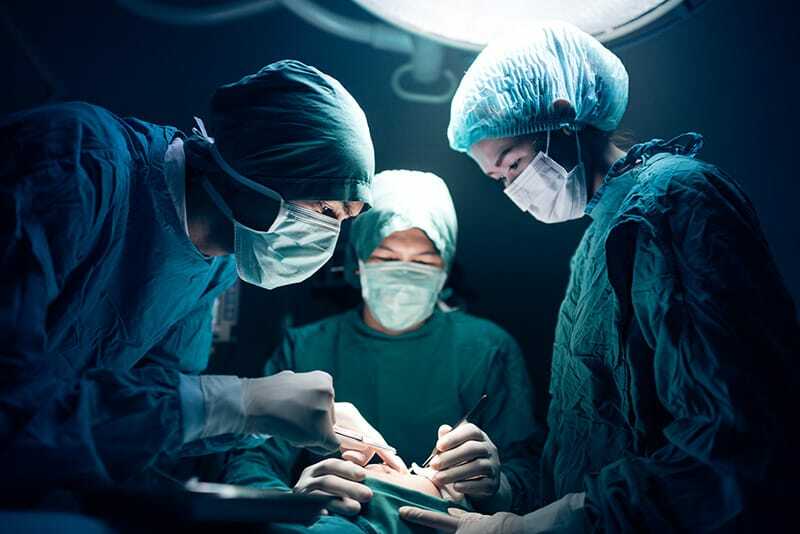 The Bureau of Labor Statistics predicts a 15% increase in demand for surgical technologists through 2024, which equates to around 14,700 new jobs in the field. Constant advancements in surgical techniques means that more and more surgeries are being performed every year, and that means there’s a constant need for more people who are qualified and skilled enough to do the job—and do it well. Another factor in keeping demand high in this field is that baby boomers are retiring in greater and greater numbers, and they are going to need an increasing number of surgeries. The median salary for a surgical technician is $43,350 per year, according to the Bureau of Labor Statistics’ 2014 data, the most recent year for which this data is available. This number is $8,000 more than the median salary for all other American jobs. Depending on the state where you find employment, your salary can fall below or above the median salary, from around $31,000 on the low end to $62,000 on the high end for 80% of surgical technologists. The top 10% of surgical technologists make more than $62,000. You will need a high school diploma or GED in order to begin training for becoming a surgical technologist. The schooling length requirements for a surgical technologist are between one and two years, where you will receive either a certificate of completion or an Associates degree (two years). The program you complete must be CAAHEP or ABHES accredited. You will also need to pass the National Certified Surgical Technologist exam, which is administered by the National Board of Surgical Technology and Surgical Assisting. During the program, you will also be required to complete an unpaid externship for further hands-on training. To find out how to start your new career as a surgical technologist, click here. Dental assistants are a vital part of most dental offices. As a dental assistant, you will have a large number of tasks, including greeting and caring for patients, assisting the dentist during exams and procedures, taking x-rays, performing lab functions, keeping records, and scheduling. Your duties will vary depending on the state in which you are working as well as the specific requirements assigned to you in your dental office. The BLS predicts that dental assisting will see an 18% increase in demand to 2024, which is much higher than average for all jobs. This means there will be about 58,600 new dental assisting openings that will need to be filled in order to keep up with demand. The median salary for dental assistants, as of 2015, is $35,980 per year. Depending on the state in which you work—and your experience—salaries generally range between $22,323 on the low end and $43,835 on the higher end. Dental assisting certification generally takes less than a year to complete, which makes this a smart career choice for those fresh out of high school or college, or those looking to change careers after years or decades of experience in the workforce. The course covers (among other topics) oral anatomy, dental materials, how to administer dental x-rays (radiography), dental pharmacology, using and caring for dental equipment, CPR and first aid for emergencies, and some office administration. At the completion of the course, you will have the opportunity to take the National Entry Level Dental Assistant (NELDA) certification exam as well as the Registered Dental Assistant (RDA) examination. These certifying exams not only testify to your qualifications as a dental assistant but are necessary for employment as a dental assistant in many states. Even in states that do not require formal training to get a job as a dental assistant, taking and passing these exams can help you rise above other applicants as well as command a higher salary. To find out how to begin your career as a dental assistant, click here. If you love working with animals, this is your dream job. As a veterinary assistant, you’ll be able to help pets and/or farm animals stay healthy and happy. This fun career requires you to conduct medical tests on animals and assist a certified veterinarian in the diagnosing and treating of a variety of injuries and illnesses in animals. Your job will be to make the veterinarian’s job easier and more productive, so your tasks will be many and varied. This work might be done in a clinical setting (veterinarian’s office), a laboratory, an animal control facility, or out in the field as you visit ranches and farms. The Bureau of Labor Statistics projects a huge demand in veterinary assistants between 2104 and 2020—an increase of 19%! This increase represents 17,900 new jobs in the field, one of which could be yours. The median annual salary for veterinary assistants as of 2015 is $31,800, with the lowest 10% earning less than $21,000, and the highest 10% earning around $47,000. Veterinary assistants, or vet techs, must complete an associate’s degree, which usually takes about two years. When you have earned your associate’s as a veterinary technician, you will be required to pass the Veterinary Technician National Examination (VTNE) in order to become registered, licensed, or certified, depending on the state in which you will be employed. For those seeking to work in a research facility, you will also need to certify through the American Association for Laboratory Animal Science (AALAS). To find out how to begin your new career as a veterinary assistant, click here. If you love working with people and helping them to feel better, you will enjoy a career in medical assisting. Whether you work in a hospital or clinic, your competent, compassionate service will be a healing balm when people are hurting or feeling unwell. Medical assistants contribute a great deal to the flow and efficiency of a medical office or health facility. Your duties will span both office management and clinical duties, so you can expect to be engaged in a variety of tasks throughout the day. You will work with patients as they first arrive for their appointments, assist medical professionals during exams or procedures, and help maintain records and filing for organization. You will learn many new skills, including a knowledge of human anatomy, how to correctly use medical equipment, recording vital signs and symptoms, preparing rooms for new patients, keeping the flow of patients steady, correctly noting doctors’ orders in paper and digital charts, making sure that charts are filed and saved correctly, and more. Demand for medical assistants from 2014 to 2024 is expected to increase by 23%, which is much faster than the average. One factor in that increase is the larger number of baby boomers who are requiring more medical attention as they age. Another factor is the large number of people who have been able to obtain medical insurance coverage through the ACA. Medical assistants can expect to earn a median annual salary of $30,590, with a low end of $22,040, and a high end of $43,880. MAs generally earn more in outpatient care facilities, followed by hospitals, physician’s offices, and offices of other health practitioners, in that order. There are two paths you can take toward becoming a medical assistant: a medical assisting diploma or a medical assisting degree. A diploma takes about 15 months to complete, depending on how quickly you can complete the classes. A medical assisting associate’s degree can be completed in as little as 19 months, and can be a springboard to higher medical degrees. Once you have completed the medical assisting program, you will need to pass the Certified Medical Assistant (CMA) exam before being recognized as a CMA. From there, you can apply for jobs in hospitals, private clinics, or ambulatory clinics. To learn more about becoming a medical assistant, click here. Stuck in a rut? Not eager to spend tens of thousands of dollars and hundreds of hours in a four-year college? Ready to start earning money in a short amount of time doing something that you are passionate about? Each of these four careers we have outlined—surgical technologist, dental assistant, veterinary assistant, and medical assistant—are fast-growing, high demand careers that are fulfilling, exciting, and will help you pay the bills. In addition, certification in any of these careers is a springboard toward higher certifications, licensures, or degrees as you continue to pursue the work that brings you so much satisfaction. Whether you are a new high school graduate or are looking to switch career paths in your middle years, do yourself a favor and research which of these options could be your next career. Midwest Institute offers top quality education in each of these fields, including access to the required certification examinations. Stop spinning your wheels. It’s time to thrive! Visit our website to begin a new and exciting phase of your life.